Travis Scott turns into birdman. 2. Travis Scott turns into birdman. 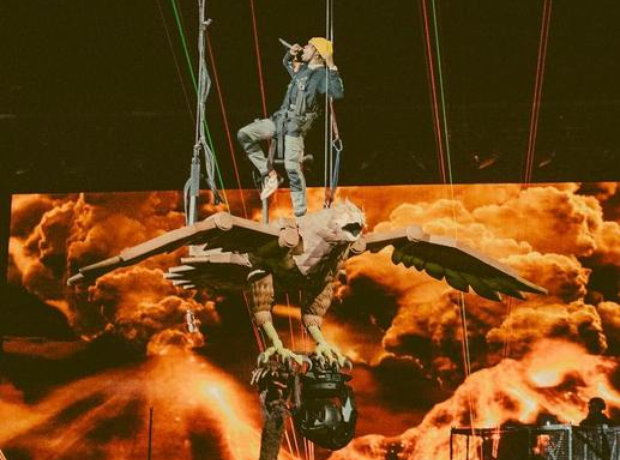 Travis Scott shared a pic of this mad stage piece from his current tour.